In this video we show you how to create these adorable folding gift tags using the Brother Scan n Cut Canvas online software (now known as Canvas Workspace). This tutorial is for the online version but if you are using the downloadable software then you can take a look at the tutorial for that here. These are pretty simple to create if you follow along with the video, and once you have made one you can easily change the size to suit. These are ideal for adding to your gifts, or with christmas in mind, they will look great hanging from a Christmas tree with a gift card or a note inserted. 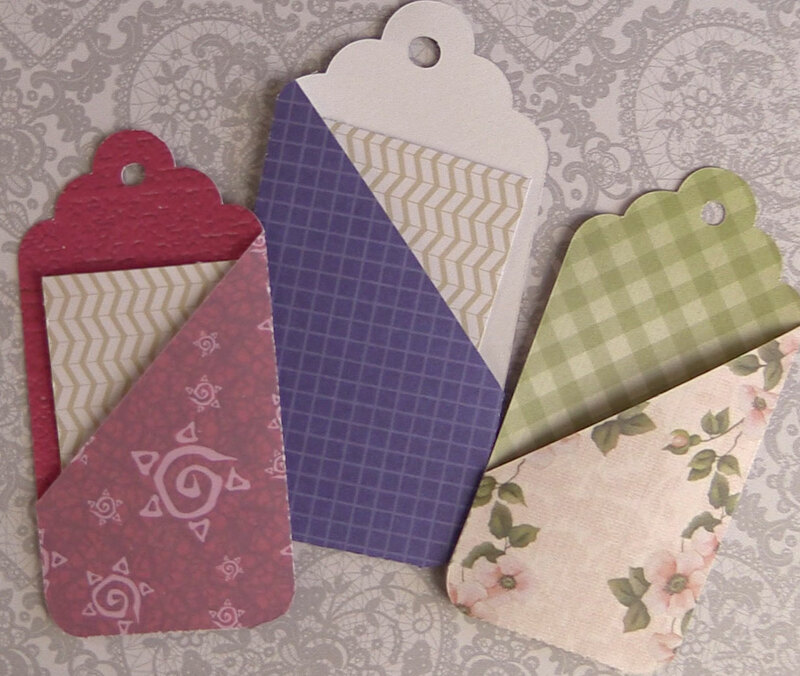 We used card stock for these but you can use scrapbooking paper – they just won’t be as firm. And two-sided cardstock works really great as the inside of the card automatically has a pattern. If you would rather not create these yourself you can download the cutting file for free by signing up to our newsletter here. You can access the Brother Canvas software here. I have had to replay several times to learn how to use the canvas software, found the steps a little too fast. My I suggest a tutorial on using the canvas software would be most welcome. That’s a good idea Elaine. We will do just that. Hi i am new to the scan and cut. I think your videos are fab, but due to my illness i would not be able to do your project s just by watching your video alone, as i would be continuously going back all the time . Please is there a way that you could type the instructions so i could print them as this would help me immensely. also i would like to know how to cut decopauge as this is why i bought the machine as i can no longer cut things out as wall as i once did. many thanks for reading this and i hope you can help me. Creating written instructions is actually one of the most time consuming things we do. It can take hours to do them because you have to create images of each step and then type up the instructions. This is why you won’t always see written instructions on all of our videos. We would love to have more time to do them but at this stage it may be a while before we can get around to it. In terms of the decoupage question, what exactly are you wanting to achieve. Do you simply want to cut around distinct shapes to use in decoupage or do you want to cut an image from pages that are filled with images?